YVONEE DE CARLO SHINES AS THE BAHAMA MOMMA! 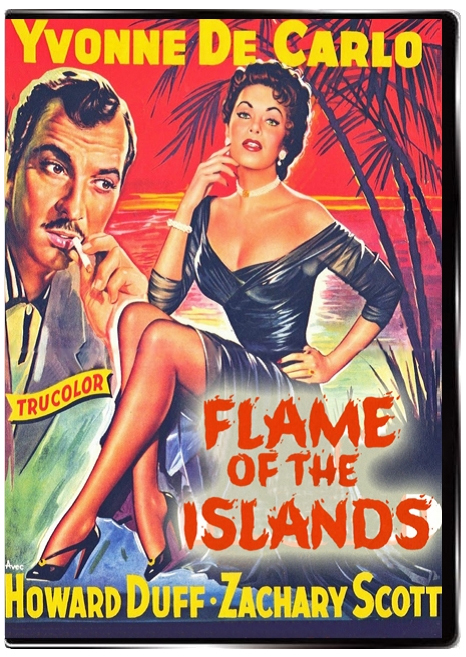 Flame of the Islands is usually described as a story of a woman and the men in her life, but the heart of the story is actually about three women: Rosalind Dee, (Yvonne de Carlo); the woman of whose husband she was supposedly mistress, (Frieda Inescort), and the mother of the boy she had loved as a teenager, (Barbara O'Neil). Rosalind is a good woman corrupted by a desire for revenge over the woman who had destroyed her chance for happiness by separating her from the boy she loved as a teenager, but her revenge, small as it is, redounds on people she has every wish not to hurt in this entertaining melodrama. De Carlo plays a girl who is paid off by rich widow to keep quiet about a supposed relationship with her deceased rich husband. Yvonne is swayed by a friend to invest in a club in the Caribbean, where she quickly displays her singing & dancing talents and becomes the star attraction. But not all is smooth sailing, as all of the female characters around her seem to be harboring dark secrets and, naturally, she attracts the attention of the local men - including her old boyfriend from years past. Set during the Christmas season, the exotic scenery and super bright tropical colors leap from the screen in stunning glory. 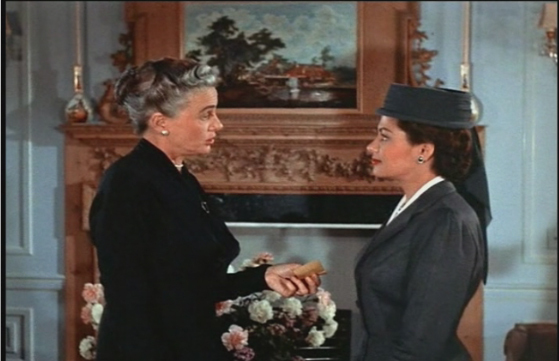 This film was written by Adele Comandini, who penned the Christmas classics Beyond Tomorrow and Christmas in Connecticut. 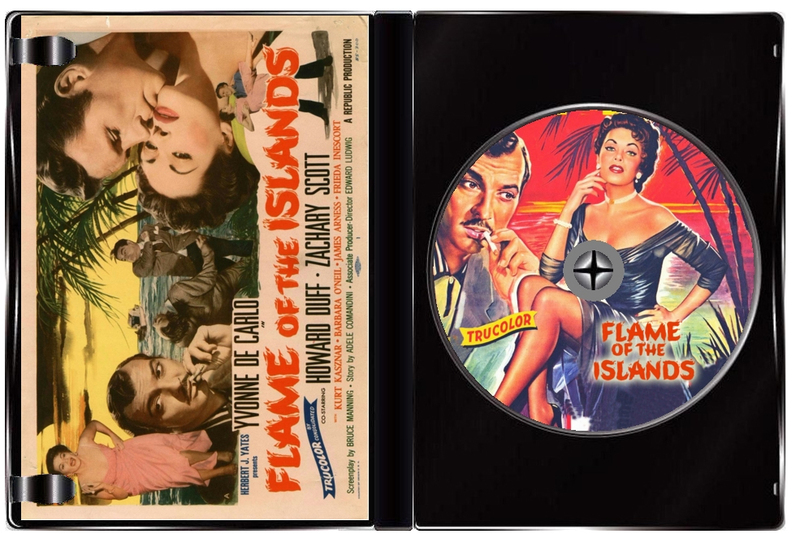 Flame of the Islands completes the yuletide trilogy in fine fashion. 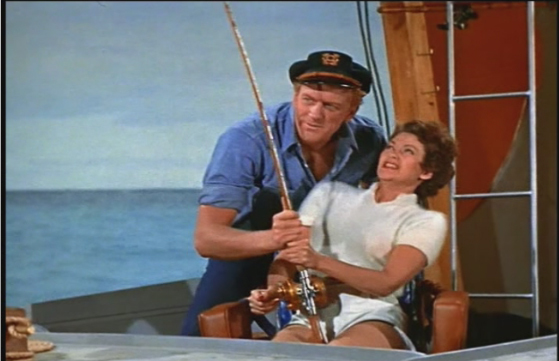 Yvonne is very watchable as always and is absolutly gorgeous whether she's shaking her hips on the dance floor or fighting a marlin at the end of her fishing line. She has a good supporting cast, including a young James Arness (tv's Matt Dillon.) The photography and location work are very nice. 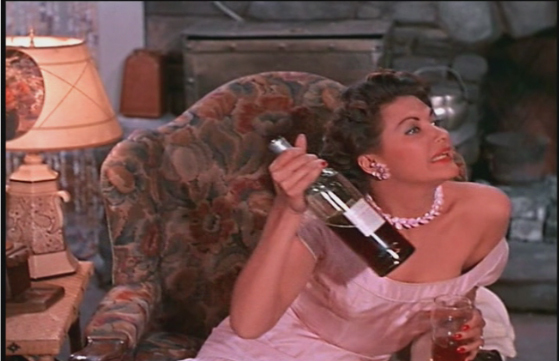 A long forgotten film that is a pleasant time filler, and a must-see for any De Carlo fan!